We read the law in Virginia, which said: Parents must send their children (1) “to a public school,” or (2) “to a private, denominational or parochial, school,” or (3) have the children “taught by a tutor or teacher of qualifications prescribed by the State Board of Education and approved by the division superintendent in a home.” I chose option 3 and applied to the superintendent [of Virginia Beach, where we were then living,] for permission to teach [my children] at home. That was rejected because I was not a certified teacher. [I applied again after we moved to Norfolk.] When authorities came [to the house] we said we had applied and had not heard back. We reapplied and I spoke to the superintendent. I said that giving us permission would not cause a mass exodus from the schools, that most people want to send their children to school and that we felt that this was something extra we could do for our kids. He refused and charges were brought against us for failure to send our children to school. I looked into what it took to open a private school in Virginia and found that Virginia has almost no regulations for private schools, only that they meet the same number of hours a day and days a year as the public schools. So we started Brook School, with our kids as the students and me as the teacher. [T]he Norfolk Public Schools’ reaction to enrolling our children in Brook School was not to drop the case but to press charges. Our hearing was in April 1979. Leading up to it, we were on every local talk show [where] the responses were all supportive. In a one-day hearing in which the prosecutor tried to prove that I didn’t conduct school for the same number of hours a day and days a year as the public schools, all he could prove was that I was a very busy person. The judge’s opinion was that leaving private schools so much leeway was a legislative choice and not an oversight, and that courts do not make law, but only rule on existing law. So he dismissed the charges…The schools turned to the legislature to “close the loophole in the law.” This began a five-year lobbying effort that led to the Virginia Homeschooling law. At the beginning of the lobbying effort the established private schools were represented in force saying, “Don’t define or restrict private schools.” They felt it was okay to stop homeschooling but not by making any laws about private schools. That slowed the legislature enough for the homeschooling movement to make its case. Since there was so much interest in homeschooling in the area, I asked John [Holt] about coming to speak. He told me that all he required was his travel expenses and a place to stay. I arranged for a room at Old Dominion University for him to speak, publicized the talk, and got an audience and enough funds to cover his travel. Though the Giesys had used the lack of a definition for private schools in Virginia’s code to establish their homeschool as a private school, this method did not work elsewhere in Virginia. In 1980, a judge ruled against religious homeschooling parents Robert and Vicky Grigg of Chesapeake who had tried to establish their homeschool as a private school; the case went to the Virginia State Supreme Court, which again ruled against the Griggs on December 3, 1982. It was around this time that the Home Educators’ Association of Virginia (HEAV, est. 1983), a statewide Christian homeschooling organization, was founded. 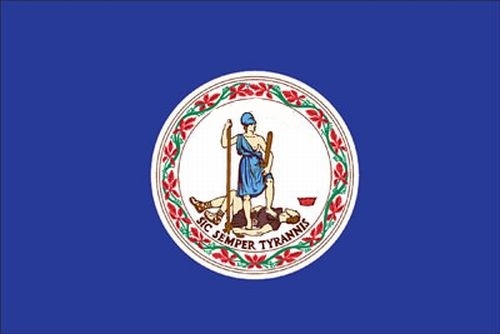 As a result of activism by a number of homeschoolers, Virginia’s homeschooling statute, HB 535, passed in early 1984. It forbade homeschools from being registered as private schools while at the same time providing for homeschooling. It included a correspondence school option, an annual requirement for notification and description of curriculum, and an annual assessment requirement with steps for intervention and an appeals process. The homeschool statute also provided several options for parental qualifications: the parent could possess a Bachelor’s degree or a teaching certification, or could “[provide] a program of study or curriculum which, in the judgement [sic] of the division superintendent, includes the standards of learning objectives adopted by the Board of Education for language arts and mathematics and provides evidence that the parent is able to provide an adequate education for the child.” The homeschool statute pointedly stated that it did not interfere with the religious exemption option. Throughout the 1980s, then, the major issue in Virginia homeschooling became the application of the religious exemption, which grew more common as the homeschooling movement expanded to include evangelical and fundamentalist Christians. Each county had a slightly different application of the religious exemption law: “While some counties freely grant[ed] religious exemptions, some refuse[d], and others simply ignore[d] requests.” In 1985, the Snider family’s application for a religious exemption was refused, and they took the case to the Supreme Court of Virginia. The Home School Legal Defense Association (HSLDA, est. 1983) had by 1985 moved its offices to Virginia and was engaged in a number of religious exemption cases from 1987 onwards. Notably, HSLDA attorney Chris Klicka argued the Johnson v. Prince William County School Board case before the State Supreme Court in 1991. Though Klicka lost the case, it was later used as legal precedent by HSLDA to argue that local school boards had no authority to judge the quality of education religiously exempted children were receiving; their only authority was to judge whether or not the family’s religious views were bona fide. By 1993, HSLDA had convinced most counties to grant religious exemptions without review; only Prince William and Fairfax Counties continued to insist on interviewing older children to determine if their religious beliefs coincided with their parents’. Around that time, HEAV Vice President Will Shaw left the organization to team up with Jay Phaup, the president of a local homeschooling group, the Christian Home Educators Association of Fluvanna. Though they were evangelical Christians homeschooling under the religious exemption, Shaw and Phaup were dissatisfied with HEAV’s exclusively Christian stance. In response, they formed a more inclusive statewide organization, the Virginia Home Educators Association (VHEA, est. 1993, renamed the Organization of Virginia Homeschoolers in 2004), which also welcomed secular homeschoolers. In August 1993, State Superintendent Joseph Spagnolo released a memo which called for a census of religiously exempt homeschoolers. “It is expected that legislation will be introduced to the General Assembly in the 1994 session that would remove the provision excusing children from attendance by reason of a religious exemption,” Spagnolo wrote. As a result, HSLDA began a campaign of aggressive lobbying to oppose the legislation, sending “an alert to its membership requesting that they contact their delegates and senators”—after which hundreds of homeschoolers did so—and commissioning a study to provide evidence that repealing the religious exemption was unnecessary. After HSLDA won the support of Republican Governor George Allen, who committed to veto any such legislation, Spagnolo backed down and the attempt to repeal the religious exemption was dropped. In 1996, HSLDA, HEAV, and VHEA collaborated to defeat a proposed daytime curfew. In 1997 VHEA successfully lobbied for HB 1860, which enabled public schools to offer part-time courses to homeschoolers. The last major change to the homeschooling statute occurred in 2004, when the passage of HB 675, sponsored by Delegate Rob Bell, removed the requirement that homeschooling parents have a Bachelor’s degree—now only a high school diploma or GED was required. Although note that, according to HSLDA’s interpretation, homeschooling parents who held a teaching certificate were not required to follow the annual assessment requirement. This interpretation was challenged in 1994 in Berlin v. Prince William County, although the Prince William County Circuit Court ruled in favor of HSLDA. For more on homeschooling in Virginia, see Virginia.